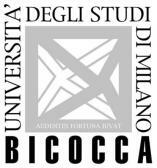 University of Milano-Bicocca – Department of Human Sciences for Education “Riccardo Massa”(Italy): is responsible for the organizational and administrative management of the project, it is involved in monitoring of the activities, performance and resources used. It gives its contribute on pedagogical, methodological and technical aspects of the project. Rezekne Agustskola – Rezekne Higher Education Institution (Latvia): is responsible for the quality assurance of the project, it gives its contribute using scientific achievements and innovative pedagogical technologies. Janusz Korczak Pedagogical University in Warsaw (Poland): contributes to the construction of the dissemination strategy and its coordination and to the interim and final report of the project thanks to its very strong internationally oriented policy and its cooperation in various projects and networks in the field of adult education. TEI of Crete – School of Health & Social Welfare (Greece): is responsible for the mobility workshop, foreseen by the project program. Thanks to its multidisciplinary nature and for its special attention to topics related to the social capital, social networks and the well-being of adults, it contributes to the development of all the project. 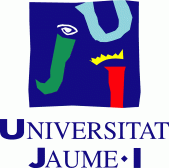 Universitat Jaume I (Spain): contributes to analysis, research and construction of the guide focusing on trainers, on their competences and on the potential of their actions and evaluation, thanks to its expertise and experience in the field of adult learning. University of Bari (Italy): contributes to the coordination of the Guidelines for the training and of the development of pilot training course and report, thanks to its experience in planning and evaluation of educational processes, teacher’s training, educational and learning technologies.